When it all comes together, a successful local SEO strategy is one that results in high visibility online, more traffic offline, and increased revenue at each location. Where traditional SEO is centered around optimizing web pages to drive traffic to websites, local SEO is aimed at building reliable and relevant signals around specific geographic locations. In order to drive people to their physical locations, businesses must cater their strategy not only to the customers searching for them, but to the search engines where their customers are looking. Ultimately, this means establishing “trust” with both. Search engines want to deliver the most relevant and reliable solutions to searchers, and in the case of local search that means the most trustworthy businesses. The question is, how does a business build trust with search engines and succeed in local search? Building credibility and optimizing brick-and-mortar locations for local search is different than optimizing a web page for organic searches. Where websites primarily depend on the quality and quantity of links pointing towards their pages, brick-and-mortar businesses rely on the quality, accuracy and consistency of their citations (Name, Address, Phone, Hours) listed around the web. When citations are both accurate and consistent, it adds a layer of credibility which shows that a business is actually located where it says it exists offline. This is important because when the results are delivered to searchers, the search engine knows that it is giving customers the correct information and sending them to the right location (happy searchers make search engines money). By having accurate citations on all of the high quality online directories, businesses are also showing search engines that they are a prominent business and have a greater authority than businesses with fewer quality citations or more inaccuracies. 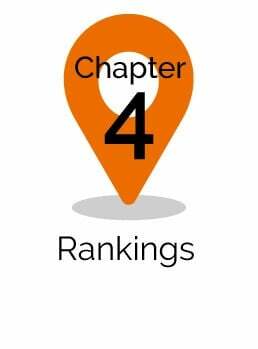 In addition to citations, search engines also determine credibility and authority by comparing a business’ ratings, reviews, responses, and local social media pages against its local competitors. Along with authority and trust, search engines are also concerned with delivering highly relevant results to searchers. Relevance refers to how well a business matches what someone is searching for. Google and other search engines are able to determine relevance and match your business to relevant searches by the information it finds about your business as it crawls the web. Location and convenience are also factored into determining relevance due to the fact that nearby businesses will be more accessible and desirable to customers. As a result of building trust, authority and relevance, businesses earn greater visibility in the local search results. Visibility refers to how easily people can find your business online. 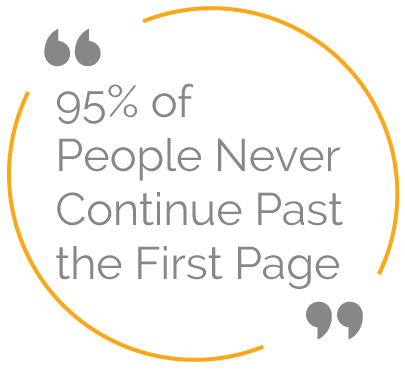 Since 95% of people never continue past the first page of search results, good visibility then means that your locations show up on page one of the local search results when a customer searches for a relevant search term or unbranded keyword. In order to build trust, authority and relevance in the local search results, you must look at three different aspects of local SEO: Listings Management is a major one, but Reputation Management and Social Media Management play a huge role in determining if you have happy and active customers. Reputation management is all about controlling how you’re perceived online and regards how often other people are talking about your business and what they have to say about it – both good and bad. Managing your reputation also requires that businesses take into consideration how often they engage with customers and whether or not they are a responsible business… i.e. publicly responding to customer complaints (and praises). A strong reputation improves search rankings and reaffirms to customers that the business has better customer experiences than other competitors in the area. Search engines also look at your business pages on social media to help determine prominence and authority. Prominence means your page has more followers and more engagement via likes and comments. By managing your social media pages you can better optimize for your local area, generate more personalized and relevant messaging, and foster engagement with the local community. As we continue to explore the different facets of local SEO and all that it has to offer for both brick-and-mortar and service area businesses, you will want to keep in mind how to best develop a strategy that is right for you and your business. 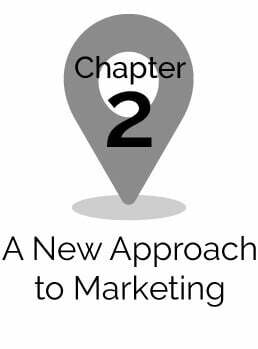 The preceding chapters will deliver the knowledge and understanding necessary to do so, as well as cover best practices regarding reputation, social media and listings management strategies. Who will monitor each location’s social media profiles? Who will create and post content to each of your store profiles? How will you monitor and find all relevant brand mentions, social posts, and photos? Who will respond to customer comments and posts? How and who will monitor all of your new incoming reviews? 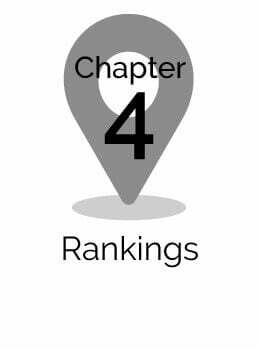 How will you track and analyze trends in review quality and quantity, and then compare that with each of your local competitors? How will you ensure that the reviews which need a response or follow up are being addressed? What will be your policy for how to respond to positive, negative and neutral reviews? 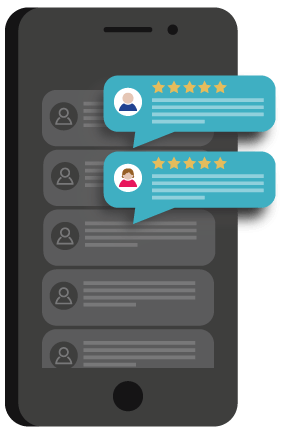 How will you understand the general sentiment from the whole of your reviews and transform that into actionable data? How will you ensure that all of your locations are listed on the tier 1 directory sites? How will you ensure accuracy and consistency across all sites? How and who will make necessary changes and updates to your listings? Will you control your listings manually, outsource the responsibility or utilize a tool?